To call this comedy Adam Sandler's best effort since "The Wedding Singer" is faint praise indeed. Expectant parents Jennifer Garner and Ben Affleck bought a $16 million, 9,900-square-foot mansion in Los Angeles. 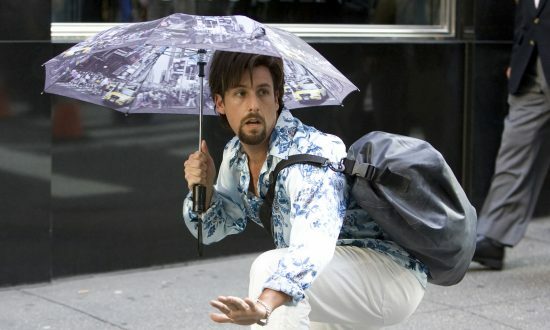 You don't Mess with Zohan, secret agent turned hair stylist. Action comedy. In "A Man Named Pearl," topiary artist Pearl Fryar creates otherworldly landscape art out of bushes and shrubs. Shrouded in secrecy, The X-Files returns to our screens after a six-year hiatus. Yes 'The Dark Knight' really is this good, blowing sky high expectations into the stratosphere and beyond. Hollywood classic 'The Apartment' is re-released in the UK. Meet Dave. He is an extra-terrestrial space vehicle with a cranium full of miniature people. Low budget, high-concept; lo-fi effects, big scale scares; Stephen King horror adaptation, quality end product.